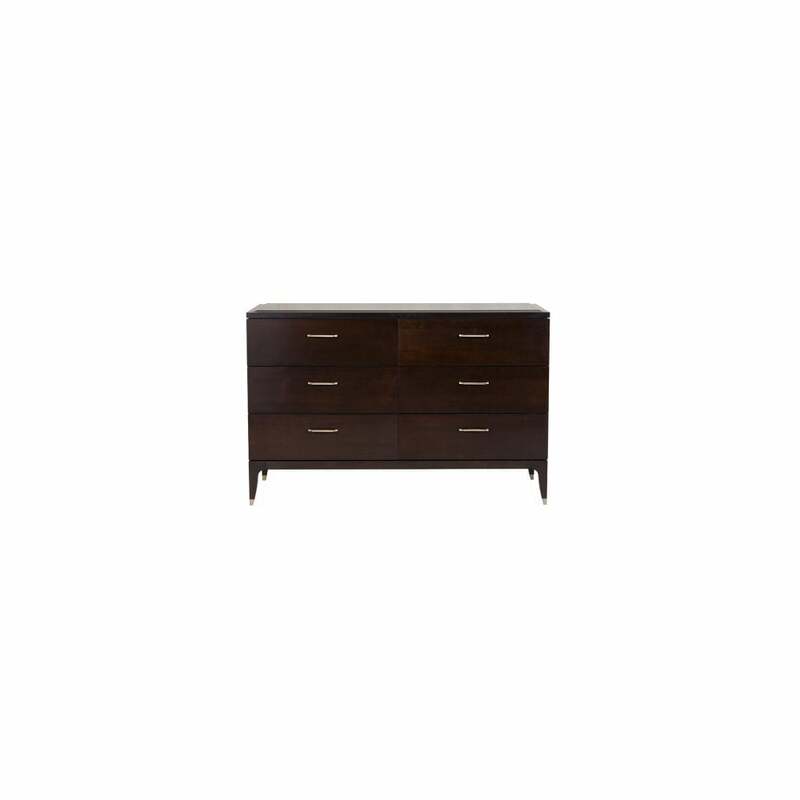 The Delano chest of drawers is a stunning example of the class, style and craftmanship of Philipp Selva design. Comprising of 6 drawers, each with smooth self closing motion in a unit of perfect dimensions for use in any living space. The unit provides ideal storage along with surface space to house a beautiful lamp, cherished framed photographs or your collection of books. With its rich, dark polished cherry veneer, you see an almost mirrored surface, reflecting light and form. Whilst being pleasing to the eye is a further indication of the quality and craftsmanship of this piece. Standing strong and proud on solid beech legs tipped with antique bronze coloured decoration for that little touch of luxury and interest, coordinated with the stylish, bevelled handles each providing a contrasting union of material and colour.